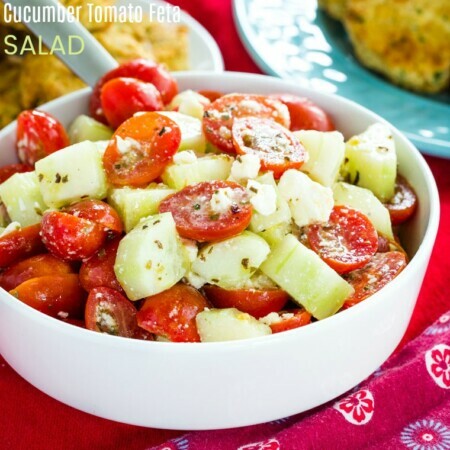 A simple, four ingredient vegetable side dish perfect for a weeknight dinner or a holiday meal. Keep it vegan or use leftover bacon drippings instead of olive oil to really kick up the flavor. 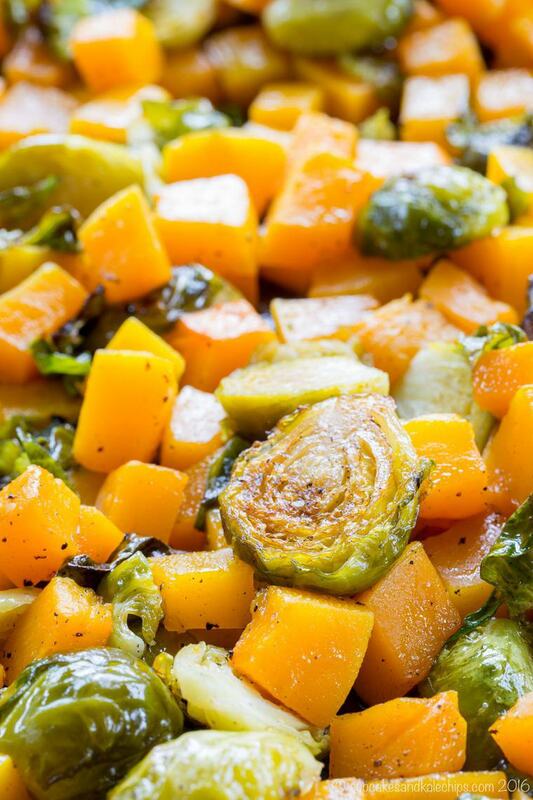 Maple Roasted Brussels Sprouts and Butternut Squash is a simple, four ingredient vegetable side dish perfect for an easy weeknight dinner or a holiday meal bursting with fall flavors. 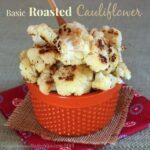 This roasted veggie recipe is naturally gluten free, vegan, and paleo, making it a healthy side everyone will love. Though you can also use leftover bacon drippings instead of olive oil to really kick up the flavor. Check out the video to see how to make this maple roasted butternut squash and Brussels sprouts. Oh, how love evolves over the years. The Hubby professed his love for me by secretly leaving a note on my car. We started dating and while most days it was just hanging out watching movies or grabbing a soup and salad after work at Panera, there was still the fancy dinners, evenings in New York or Philly, and even the occasional necklace or (and yes I do consider this romantic) KitchenAid Stand Mixer or other such lavish gifts. And beyond material things, we had all the time in the world to be lazy on Saturday mornings, leisurely sip wine as he grilled a balsamic marinated flank steak, actually have a conversation without having to referee two kids. My how things change. Last weekend was the ultimate expression of our love for one another at our current stage in life. I was sick, and yet I still stayed up to watch the Penn State win the Big 10 Championship in football with him. Like, legit watched football, not pretended to watch football while I perused Facebook and Pinterest. Then I fell asleep into a NyQuil-induced stupor, and he let me stay in bed until 9:00 on Sunday morning when regained consciousness and shook away the foggy head. That, my friends, is love when you have two very active, very hungry, very early risers living under your roof. 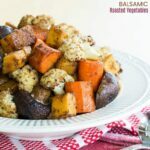 With just maple syrup, olive oil, salt and pepper, it doesn’t get any easier to make these roasted vegetables. Just preheat your oven to 400 degrees. High heat is the key to get the amazing flavor of caramelization from roasting. if you really want to kick up the flavor, make this Maple Hot Bacon Dressing, and instead of olive oil, toss the veggies in a little leftover bacon grease. 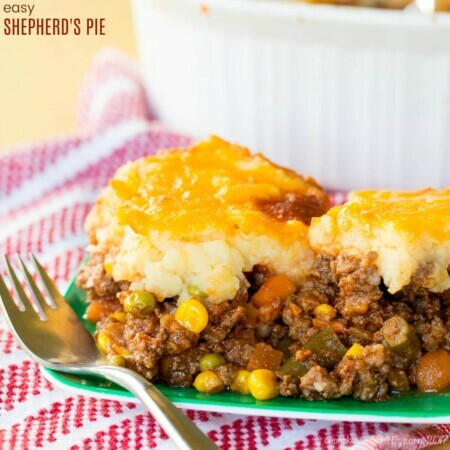 Spread them out in a nice, even layer on a big baking sheet. 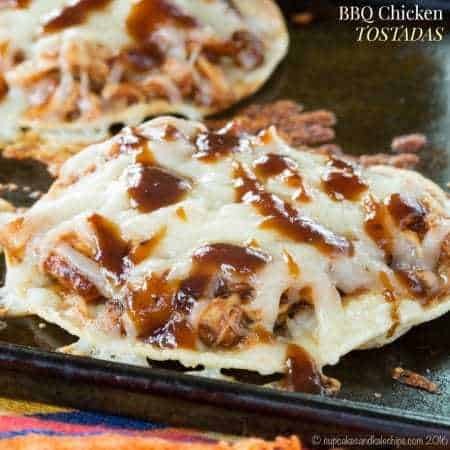 Then you only have to pop them in your nice, hot oven. This recipe is sure to convert even the picky eaters, sprouts-haters and make them love Brussels sprouts. Of course sprouts-lovers will go crazy for the hint of sweetness that balances the earthy flavor of those little leafy green guys from both the maple syrup and the butternut squash. 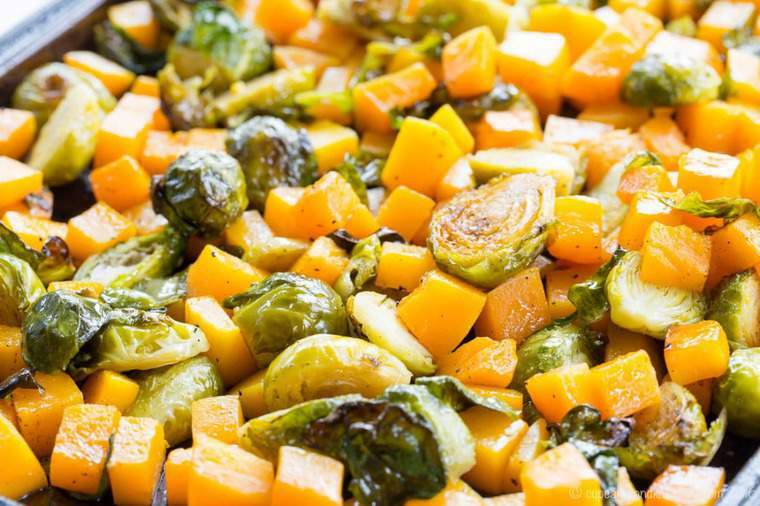 What do you serve with Maple Roasted Brussels Sprouts and Butternut Squash? This recipe makes a great side dish for BBQ-Rubbed Slow Cooker Turkey Breast or Rosemary Balsamic Roast Chicken. You can definitely enjoy it with Butternut Squash Macaroni and Cheese. Also use the veggies to make this Roasted Butternut Squash, Pomegranate, and Goat Cheese Salad. Instead of just the basic roasted butternut squash, why not try tossing the added roasted Brussels sprouts into this Roasted Butternut Squash and Pomegranate Quinoa or on top of this Roasted Butternut Squash, Prosciutto, and Goat Cheese Pesto Pizza. How do you make roasted veggies? 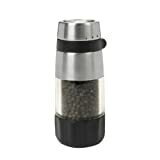 And you can also check out How to Perfectly Roast Any Vegetable from A Southern Plate for a general overview, and this collection of the Best Roasted Vegetable Recipes. 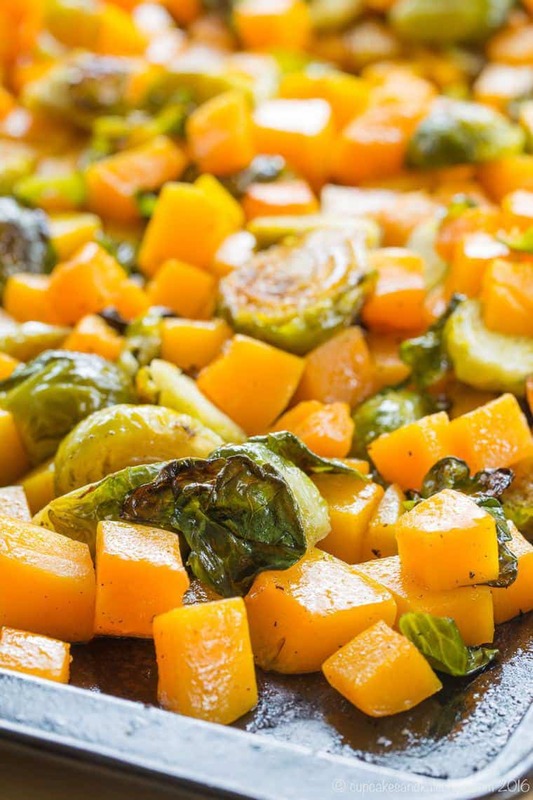 What do you need to roast Brussels Sprouts and Butternut Squash? 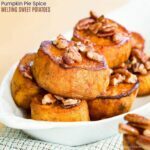 BAKING SHEETS – These Nordicware baking sheets are my favorite. I used them for everything form roasting veggies to baking cookies. They are big and sturdy, but not super heavy. A thin layer of olive oil keeps the veggies from sticking, and they clean easily. VERMONT MAPLE SYRUP – we started vacationing in Vermont, I became hooked on Vermont maple syrup. It’s seriously the best. Heck, even Tyler Florence says so in on of our favorite books, Tyler Makes Pancakes. I used to bring home a 2 gallon bottle. 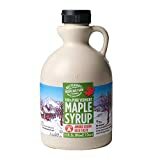 We haven’t been in a few years, but luckily I’ve found a great brand of pure Vermont maple syrup on Amazon! 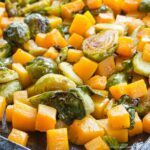 Maple Brussel sprouts and butternut squash are so easy to make and will have the entire family eating their veggies. 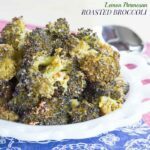 Simple, healthy, and versatile, it’s the perfect easy side dish recipe for busy weeknights, delicious to pair with a Sunday roast, or even to serve alongside a Thanksgiving turkey or Christmas ham. 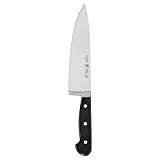 The sweetness of the maple syrup and the natural caramelization from roasting is just the right balance to the savory flavor of the the veggies. Preheat oven to 400°F. Lightly coat a baking sheet with olive oil or cooking spray. 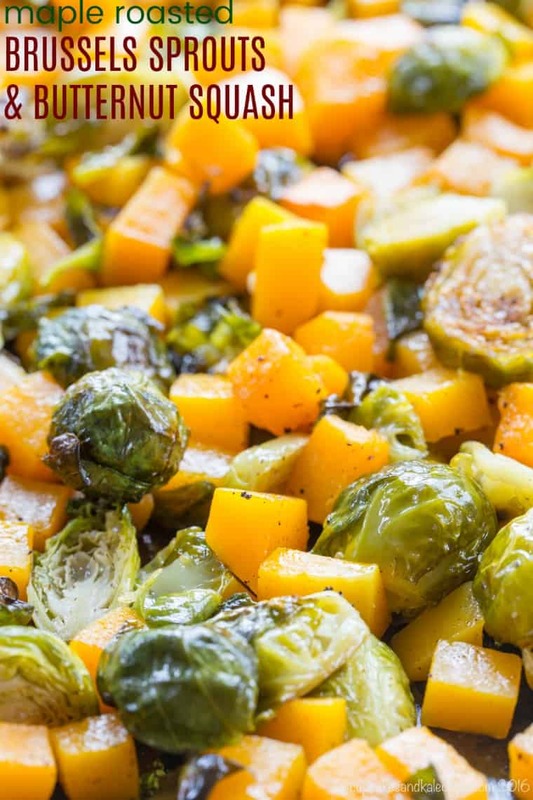 Toss the Brussels sprouts and butternut squash with the olive oil or bacon drippings and maple syrup, season with salt and pepper, and toss to coat evenly. Transfer the vegetables to the prepared baking sheet. Roast for 40-50 minutes, stirring once halfway through the cooking time, or until tender and golden brown. Can you make 1 night ahead? Roasted vegetables are best when they’re served freshly cooked, but you can definitely make them ahead and rewarm them in the oven before serving. Love it. I must try this combination. More importantly does he still leaves notes for you?That is so sweet. I don’t take NyQuil. After a particularly heavy does of NyQuil I could not get up. It affected by back. Now I take Braggs Apple Cider Vinegar (2 tsp’s in glass of warm water with 15 minutes of feeling sick) and not been sick in 8 years. No cough, cold,flu or even allergies. Give it a try. Do I cover pan with foil? Rocio, you do not cover the pan with foil. Just place the vegetables directly onto a sheet pan and place it in the oven. I just tried this dish tonight. Big hit with me and my husband, not so much with the kids. I really did not taste the sweetness from the maple syrup. So I think next time I will add 2 T. of maple syrup and see how that tastes. And since it is fall. I think I will add 1/4 t of cinnamon. All and all I will make this again. You know, my kids tend to pick out the butternut squash and completely ignore the Brussels sprouts 🙂 I add cinnamon when I am just roasting squash, but it’ll be great here too. Thanks! I’m always looking for new recipes that help us cut back on the processed alternatives. Thanks for putting all info in one place. You’re very welcome, Gloria. 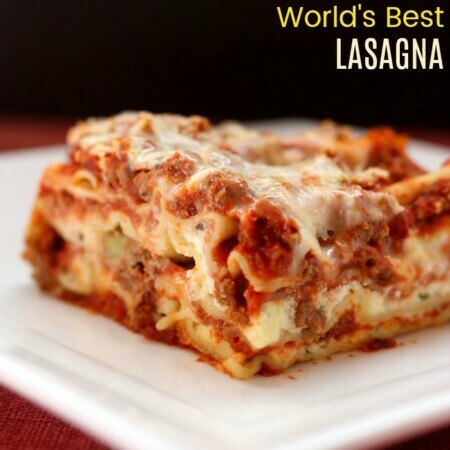 I hope you find lots of recipes to enjoy here! Looks like a great combo! I like both brussels sprouts and butternut squash separately so why not try them together. Yum!